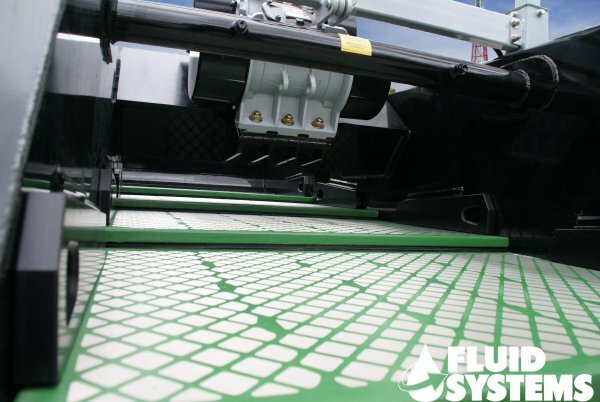 3XF-Folded Frame – Fluid Systems, Inc.
Fluid Systems, Inc. has manufactured its own line of screen panels in Houston, TX USA for more than 30 years. 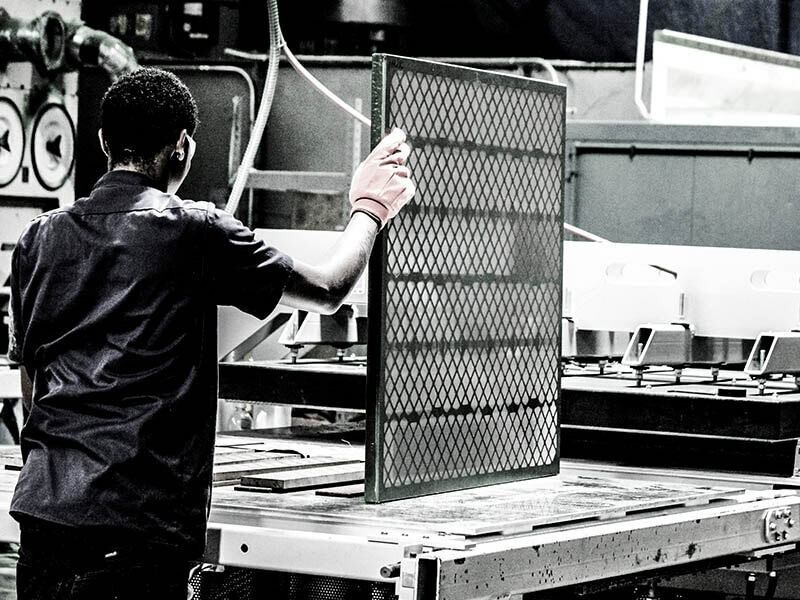 We have an unmatched selection of OEM screen panels in stock and ready for fast delivery. New lightweight frame with increased support creates better “G” force transfer to the screen surface and reduces flexing between support members. Improved bonding technique ensures stability of cloth openings to offer consistent particle separation. Multi layer construction offers better de-blinding characteristics for consistent flow rates. Newly designed perforation pattern eliminates fluid channeling by distributing feed evenly across the screen surface. 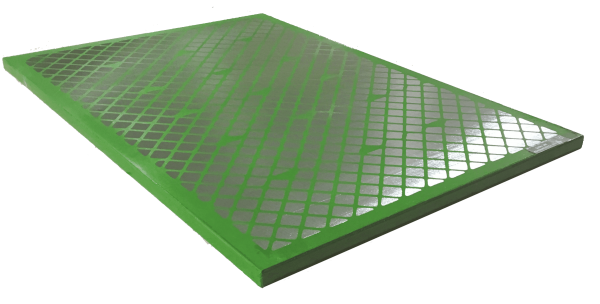 Increased bonding area reduces the chance of adhesive failure without sacrificing available unblocked screening area. New bonding agent for increased adhesion and heat resistance, resulting in better performance in OBM and SBM systems. 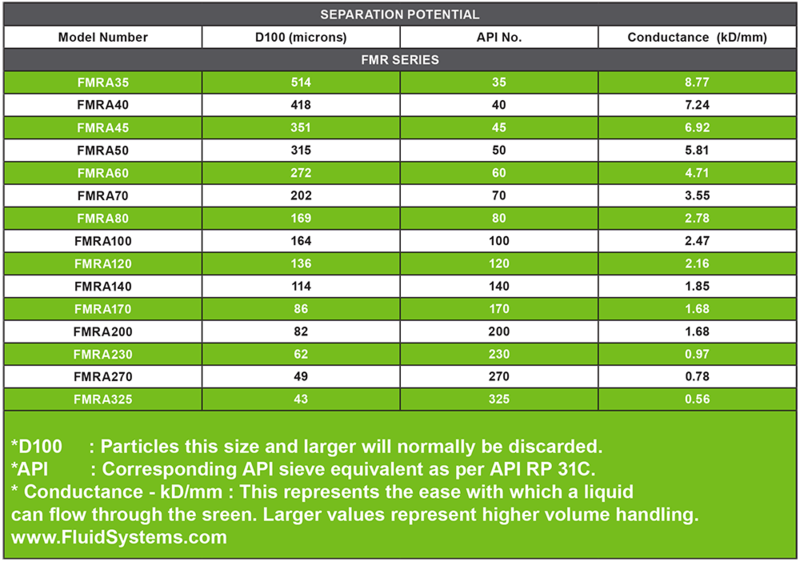 Fluid Systems is pleased to announce availability of API RP 13C (ISO 13501) compliant shaker screens. 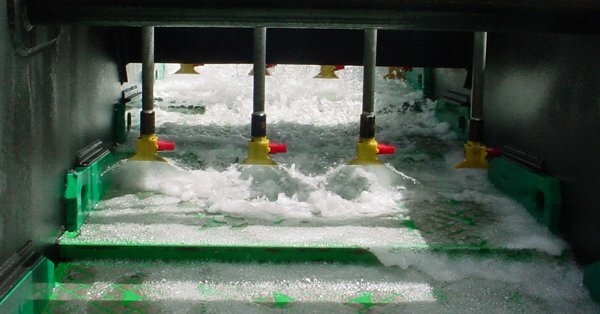 Compliance means that Fluid Systems screens meet and exceed the American Petroleum Institute’s (API) new recommended practice for shaker screen testing and labeling. We have an unmatched selection of hook style screens, pretensioned panels and specialty screens for most competitor equipment. We can also custom design screen panels for just about any application.